After launching last year, Google's YouTube Music streaming service is finally available on Sonos speakers. Acknowledging the move in a blog post, Brandon Bilinski, Product Manager for YouTube Music said that "YouTube Music just got a little bit louder! 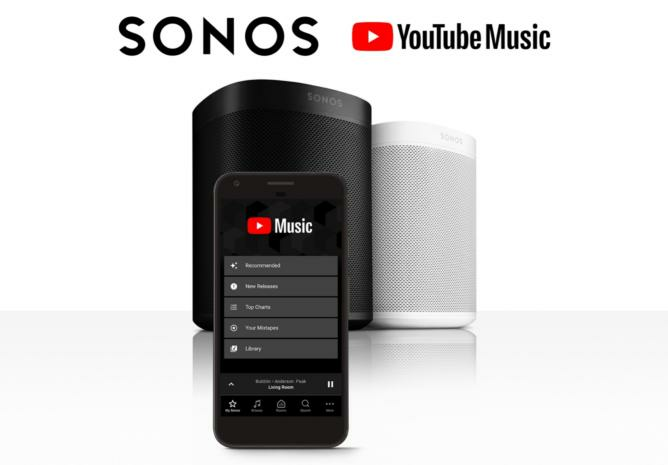 Beginning today, YouTube Music is now available to play on all Sonos speakers." "Through the Sonos app, fans around the world with a YouTube Music Premium or YouTube Premium subscription can now easily play official songs, albums, thousands of playlists, and artist radio—on top of YouTube’s tremendous catalog of remixes, live performances, covers that you can’t find anywhere else." Those looking to make use of the new functionality will first need to update to the latest version of the Sonos app. Then, if you're on Android or iOS, you go to the More tab of the app, selecting Add Music Services and entering your account details. If you're on PC or Mac, you can add YouTube Music to your Sonos by going to the Music pane, selecting Add Music Services and doing the same. YouTube Music was launched in May 2018. Google have indicated that it will eventually replace their existing Google Play Music streaming service but haven't indicated when or how that transition will be handled. YouTube Music is available now at a monthly subscription rate of AU$11.99/month. YouTube Premium is also available for AU$14.99/month.